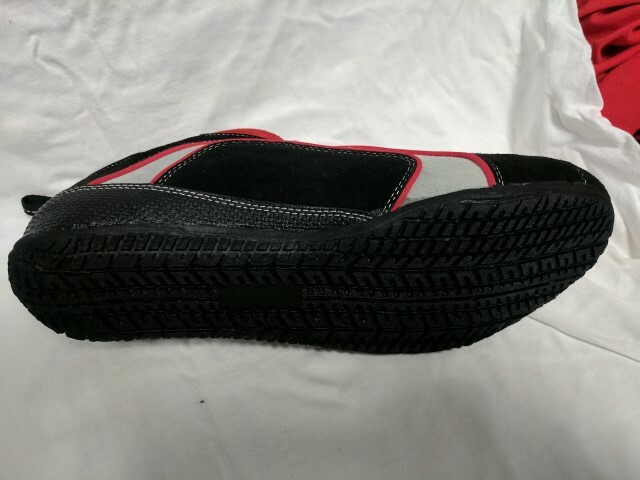 Finally, the perfect driving shoe for the autocross and HPDE enthusiast who needs a slim design to help while driving, but doesn't want a high top, doesn't need SFI rating and wants a little more comfort and padding for all day use. -Rubber Sole, rounded on back. 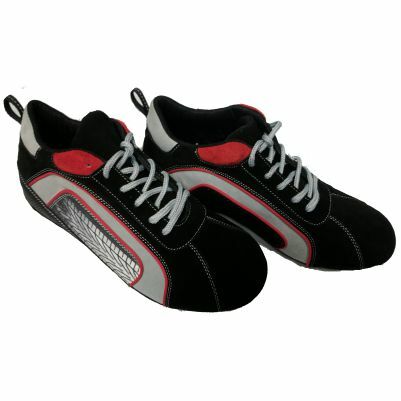 -Padded insole and sole for comfort, approx 1/4"-3/8" thickness between sole and insole. 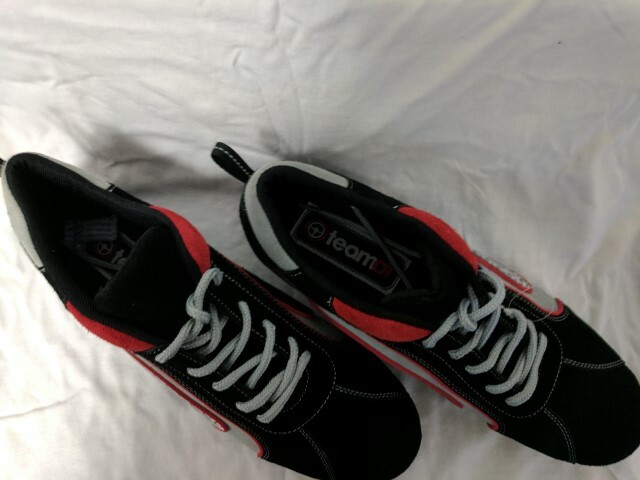 -Slim design - sizing runs typical to a regular width athletic shoe. Q: I'm concerned about fit. What is your return policy? We offer no charge exchanges on all sized items like shoes, suits gloves and helmets...if they don't fit, just contact us and we will send a return tag out via email and send the new size, all at no charge to you! 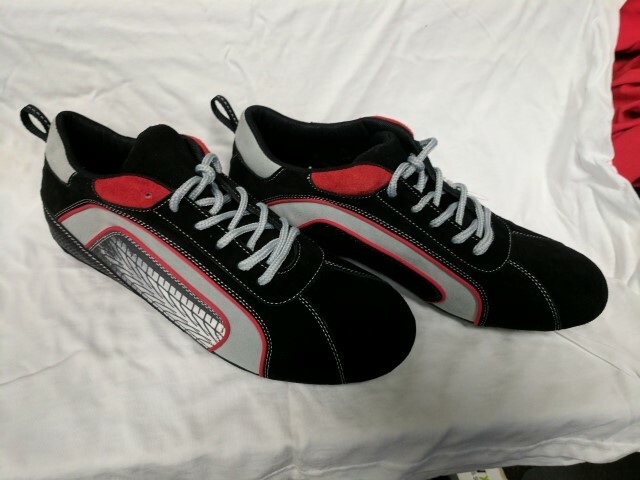 FItment on these shoes in general is typical to a regular width athletic shoe. Q: Do you have these shoes in extra wide sizes? A: Sorry, no we do not. 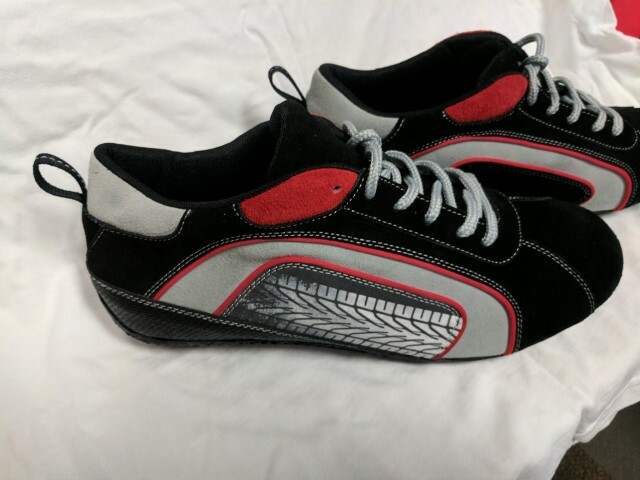 I can't think of any wide driving shoes at all, the only solution is to order up a size. Q: Are these ladies shoes ? A: No, they are mens sizing.